Printable: Print or show on mobile to get a 30% discount on any one item. In Store: Use coupon and Pay with your Avenue credit card and save 35% on one item. Simply sign up and receive style updates, sneak previews and exclusive offers from Avenue stores. Online: Enter Avenue coupon code: AV171205 in their promo box at checkout and apply. Print coupon for a $75 discount on your purchase of $200 or more in store. 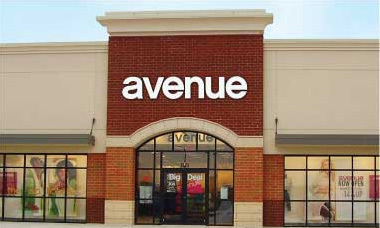 Avenue is a retailer mall that specializes in women's plus-size exclusive clothing, fashion apparel and accessories from sizes 14 to 32, including lingerie, jeans, swimwear, and shoes offering brand name footwear and sleepwear at exclusive member prices. They are one of the leading retailers of plus size women's fashion, use their Avenue Store locator if you have problems finding a store near you. Avenue printable coupons, coupon codes and special offers are always updated here on this page..